CHICAGO--(BUSINESS WIRE)-- Hyatt Hotels Corporation (NYSE: H) today announced the opening of Hyatt Place Frankfurt Airport, marking the introduction of the Hyatt Place brand to Germany. 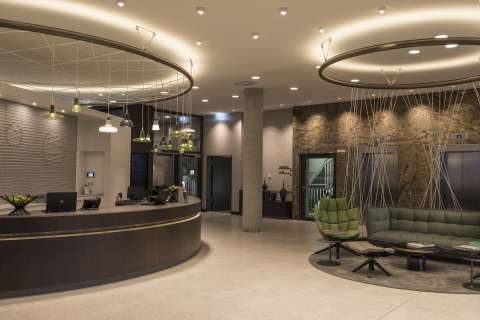 Hyatt Place Frankfurt Airport joins six Hyatt Place hotels across Europe, including Hyatt Place London Heathrow Airport, Hyatt Place West London/Hayes, Hyatt Place Amsterdam Airport, Hyatt Place Jermuk, and Hyatt Place Yerevan. The growth of the Hyatt Place brand in Europe highlights the growing importance of Hyatt’s select service properties across the region. To learn more about Hyatt Place Frankfurt Airport, please visit bookhyatthotels.com/whysettle.